Rewind - Power Art Competition. 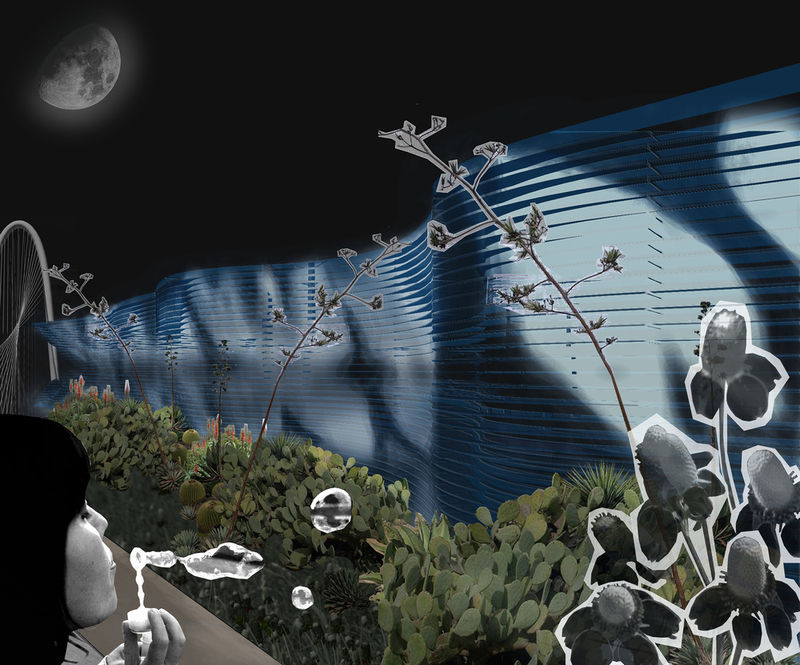 Re-wind was envisioned as a permanent installation that makes visible the patterns of the wind both during the day and at night. 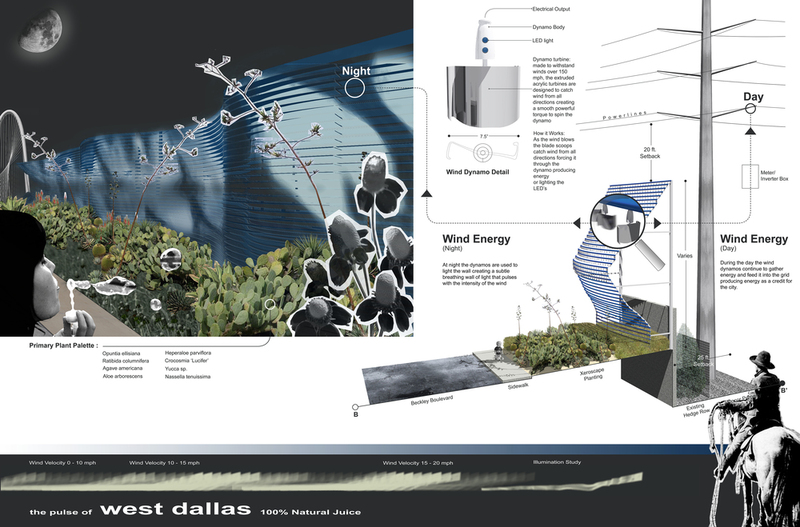 An array of 16,000 small semi-translucent turbines would wrap the existing power substation seated at the western foot of the Margaret Hunt Hill Bridge in Dallas, creating a breathing wall of light that pulses with the intensity of the wind at night, and dances with the suns reflections during the day.